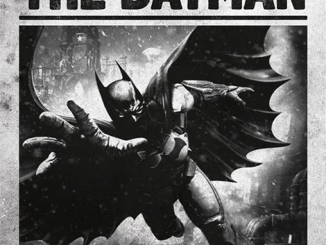 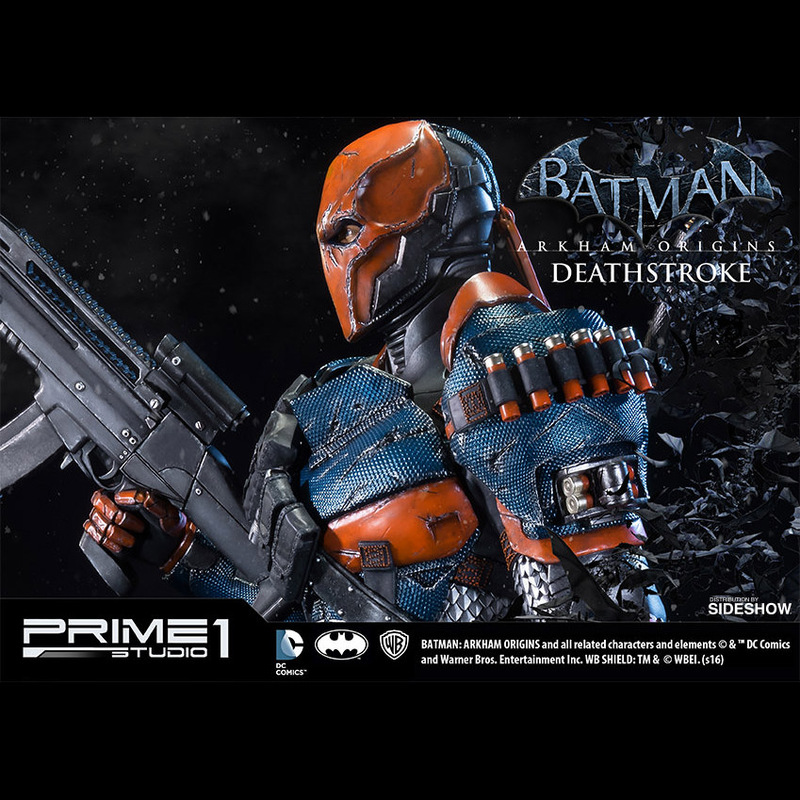 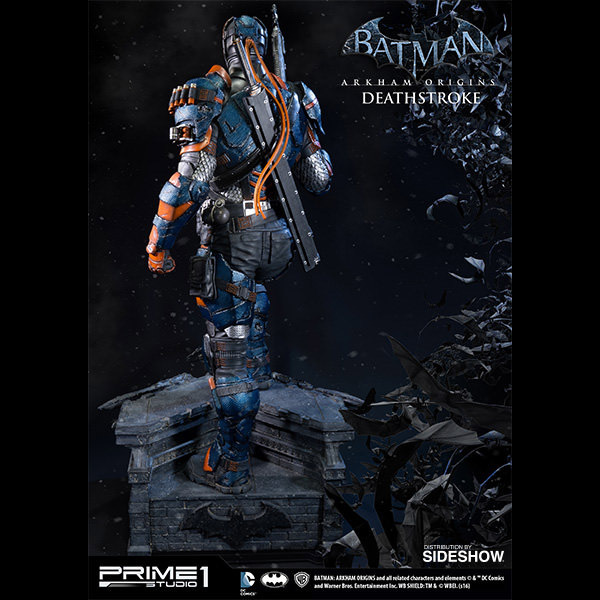 Slade Wilson is suited-up and ready to take down a big bat with the Batman: Arkham Origins Deathstroke Statue. 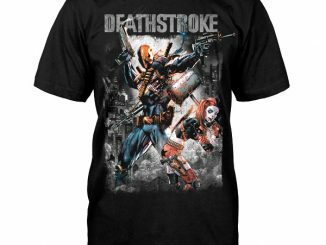 After an experimental super-soldier program gave Wilson enhanced strength, agility, and a healing factor, he became the masked mercenary known as Deadpool Deathstroke. 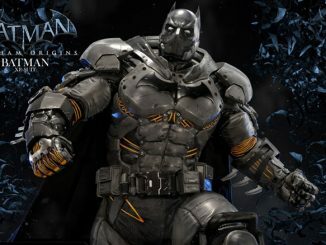 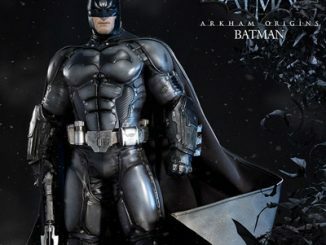 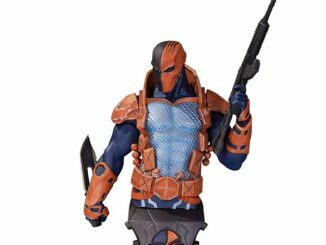 Standing 30-inches tall, the statue features alternate heads showing Slade with and without his mask, along with a variety of interchangeable arms and hands that allow him to hold an assortment of weapons. 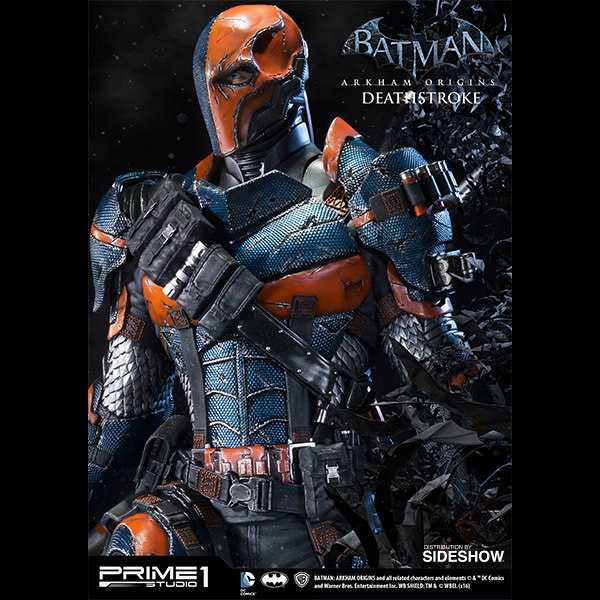 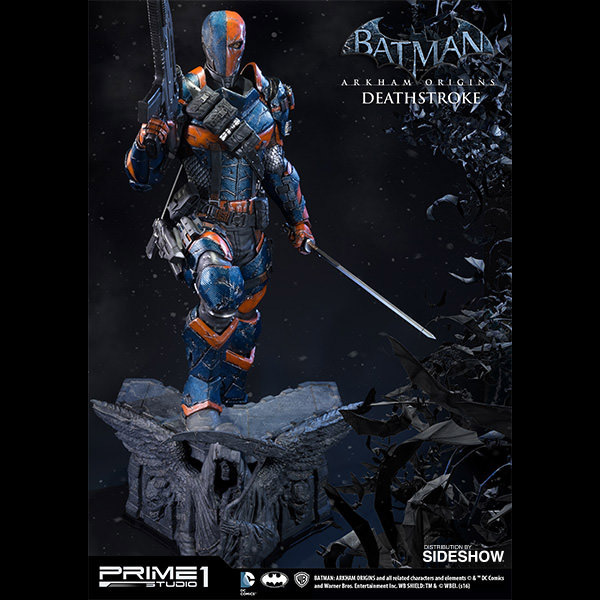 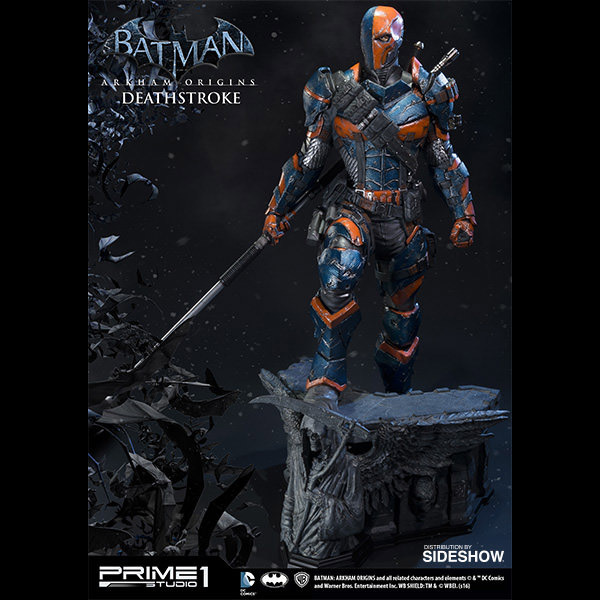 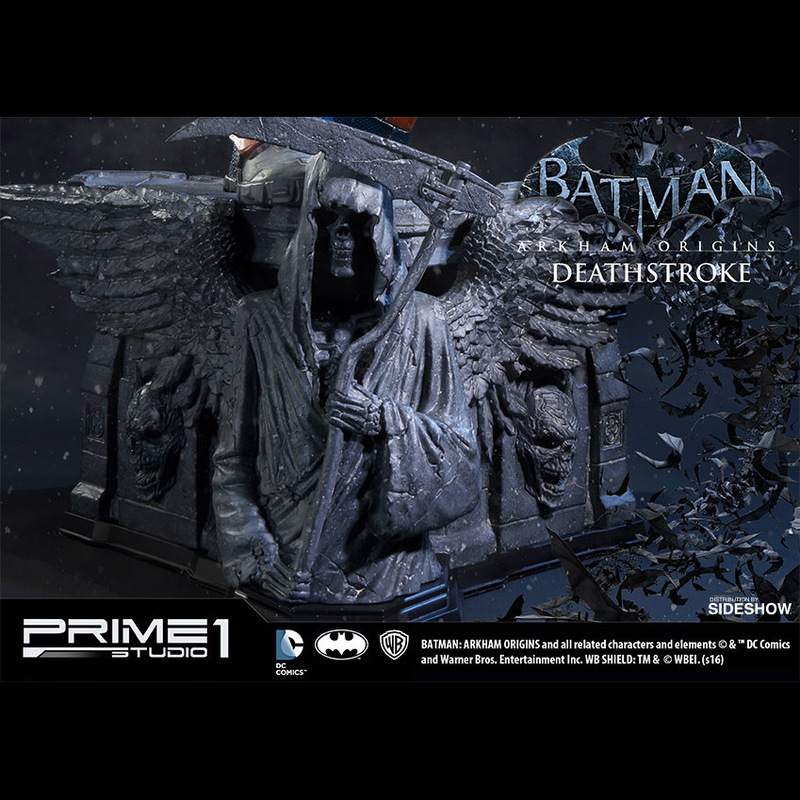 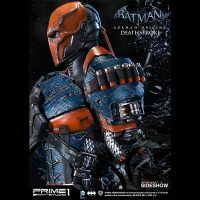 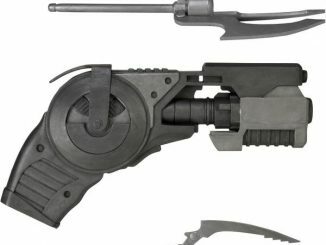 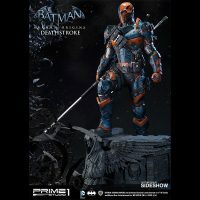 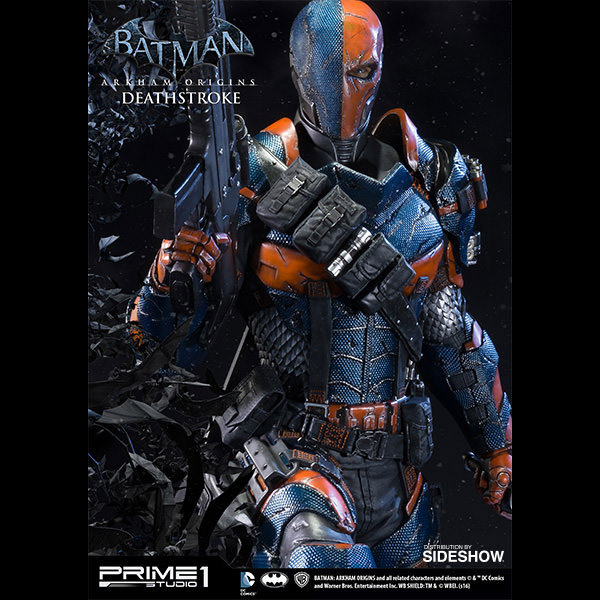 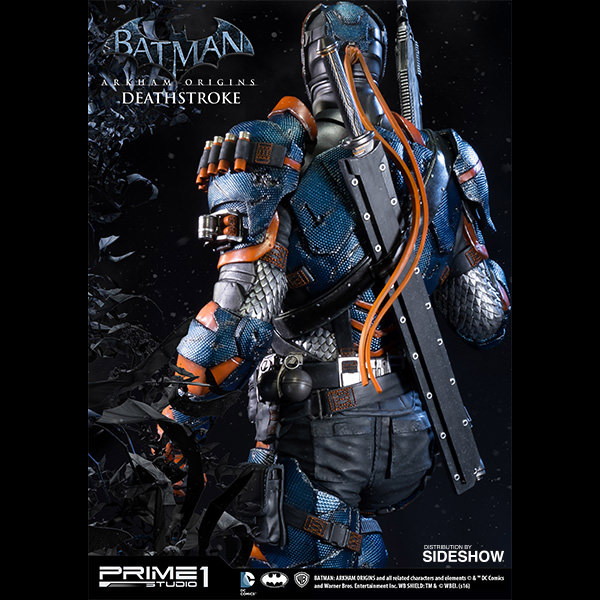 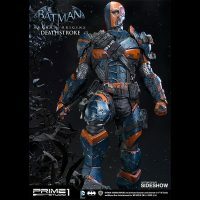 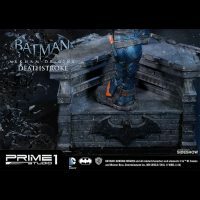 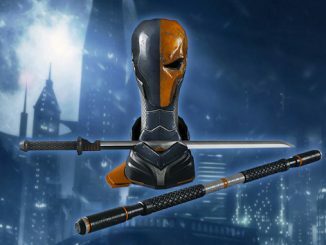 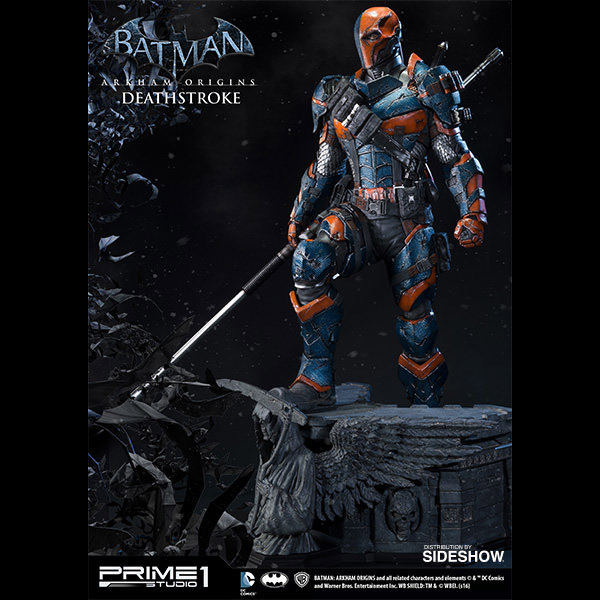 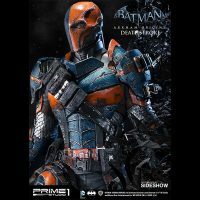 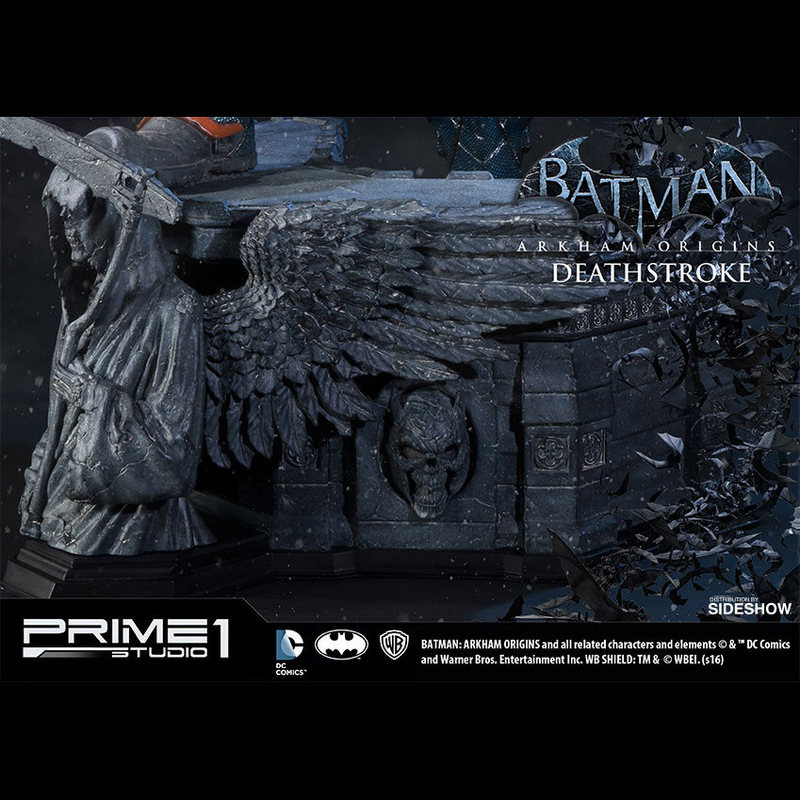 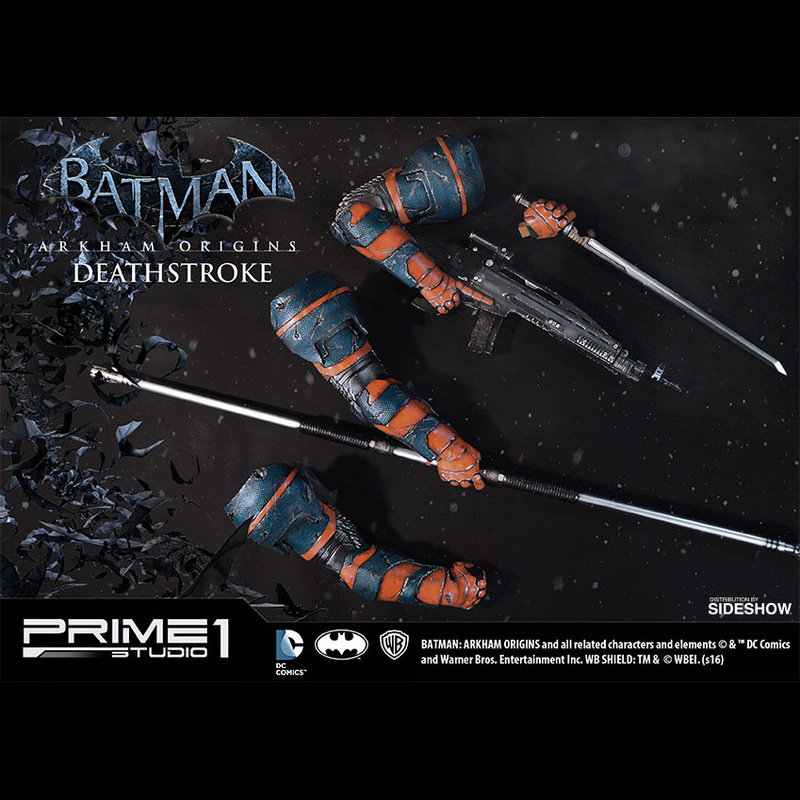 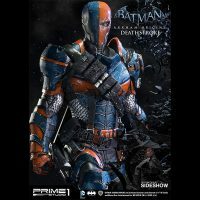 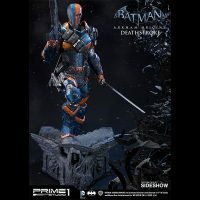 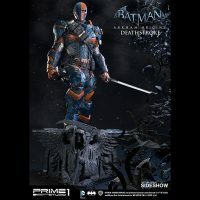 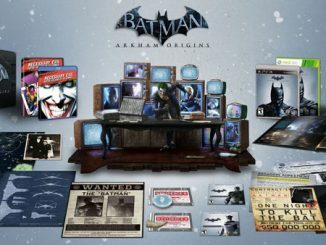 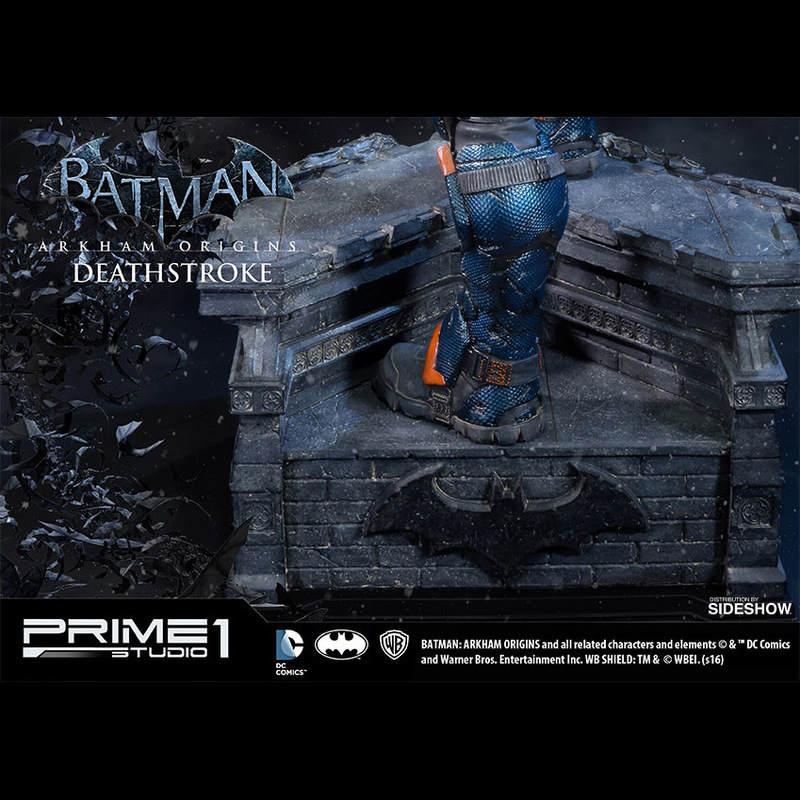 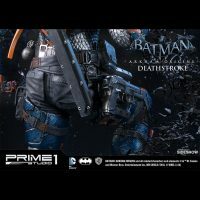 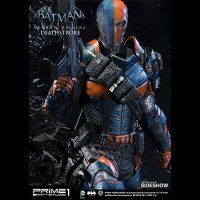 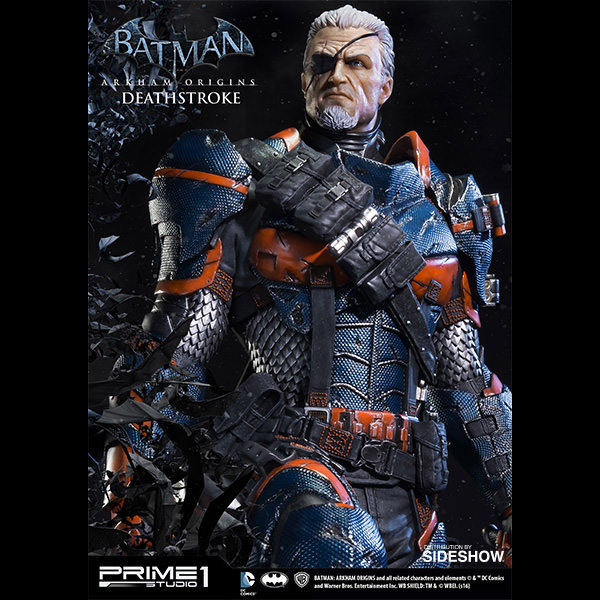 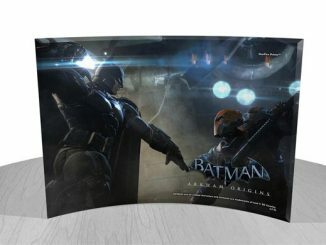 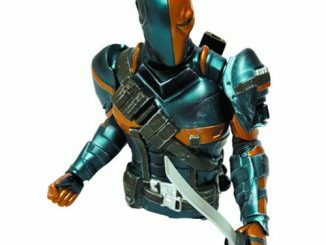 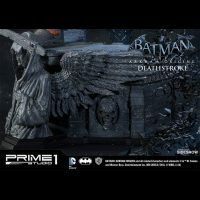 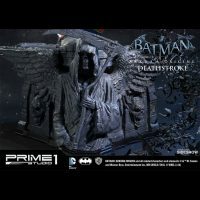 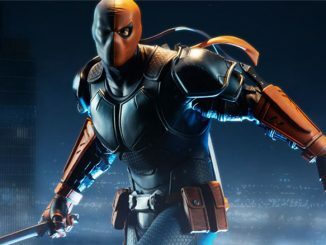 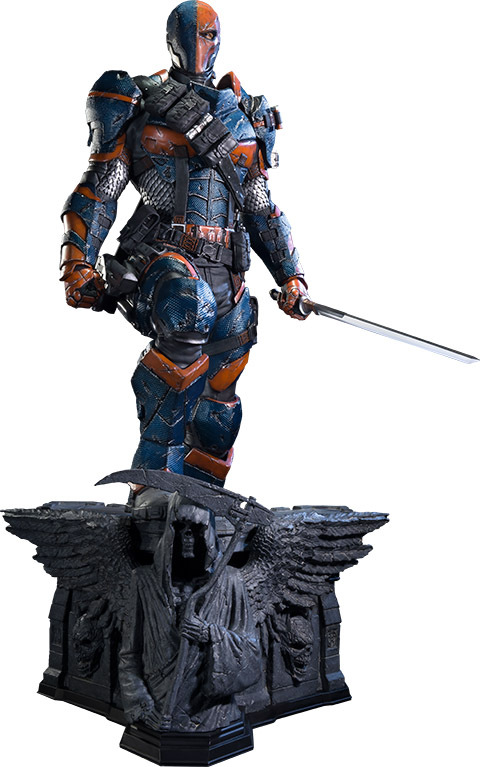 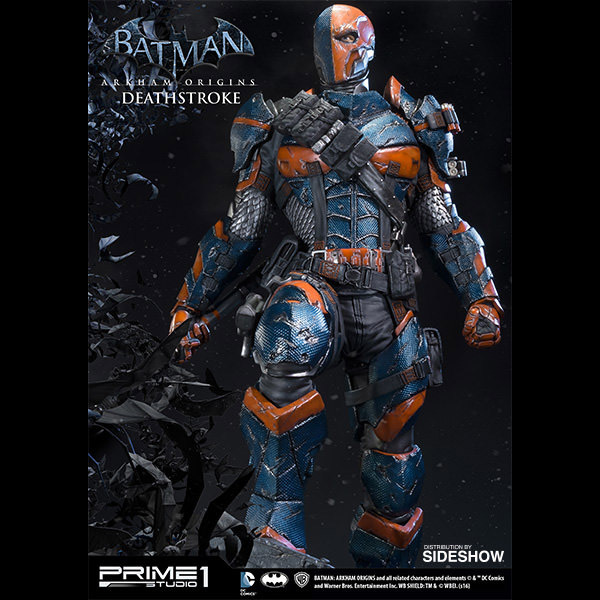 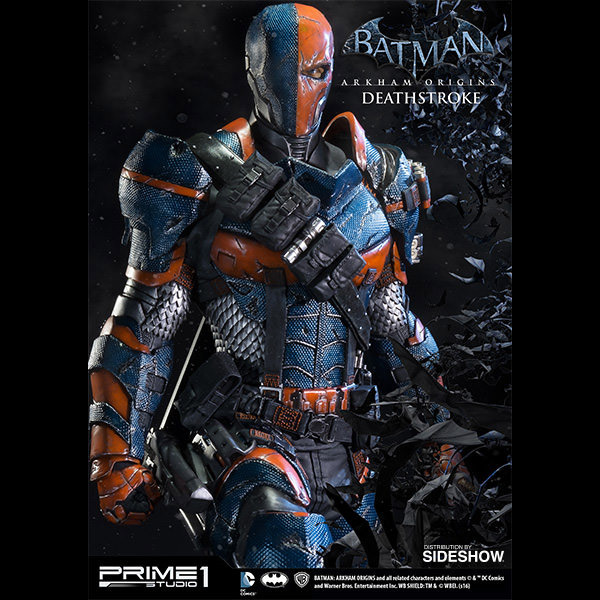 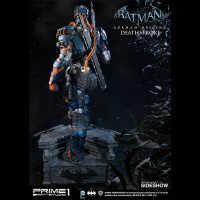 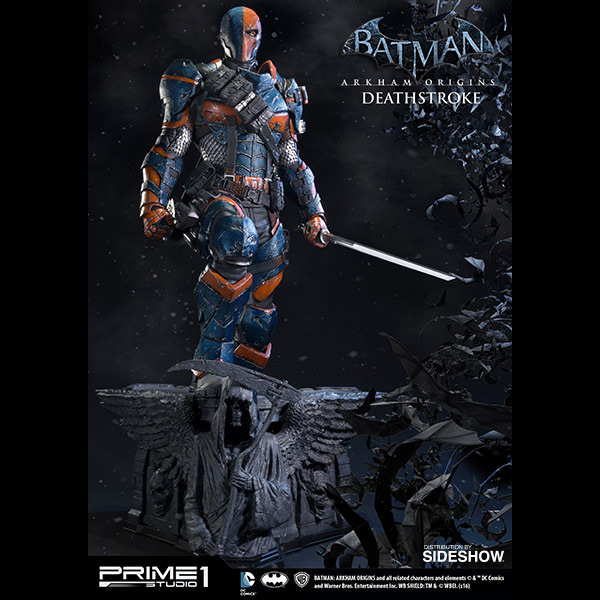 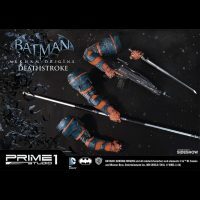 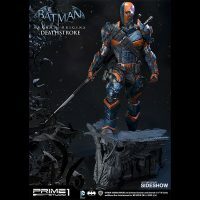 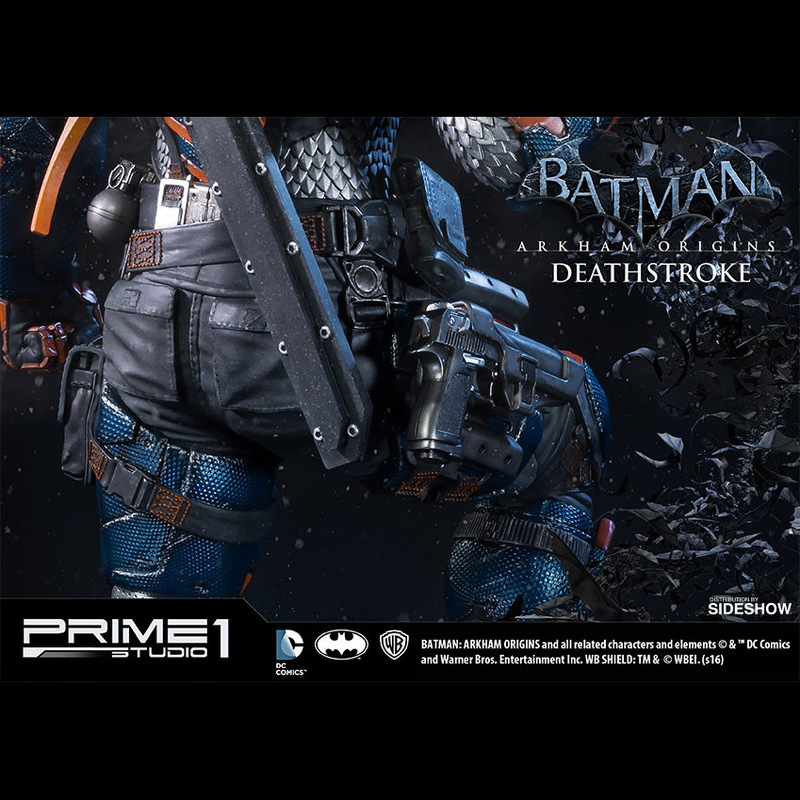 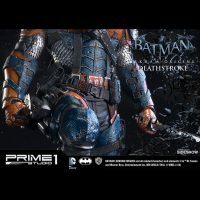 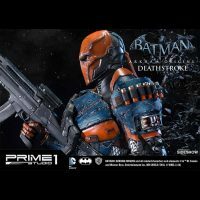 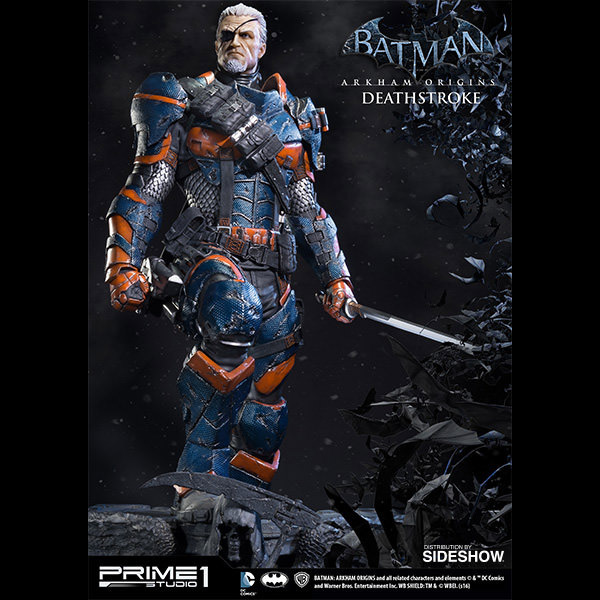 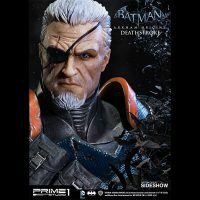 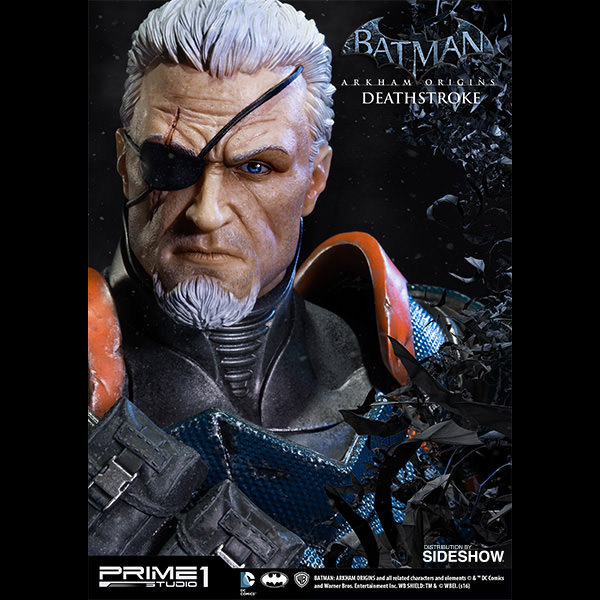 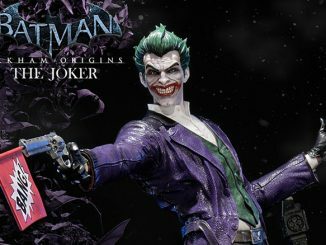 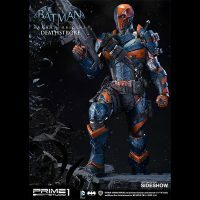 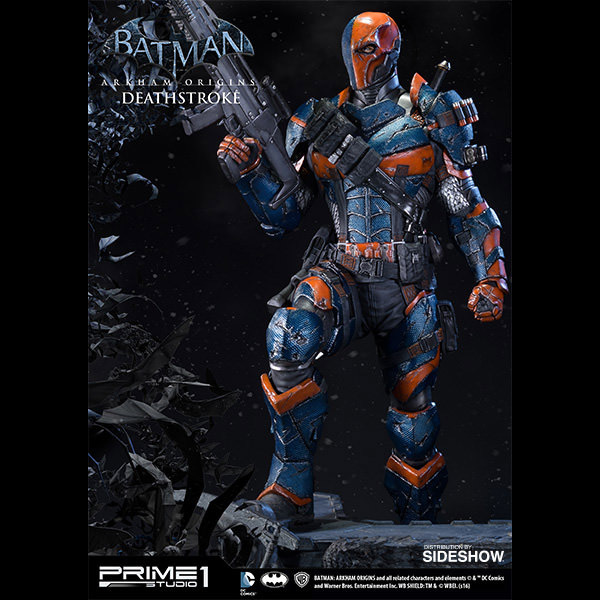 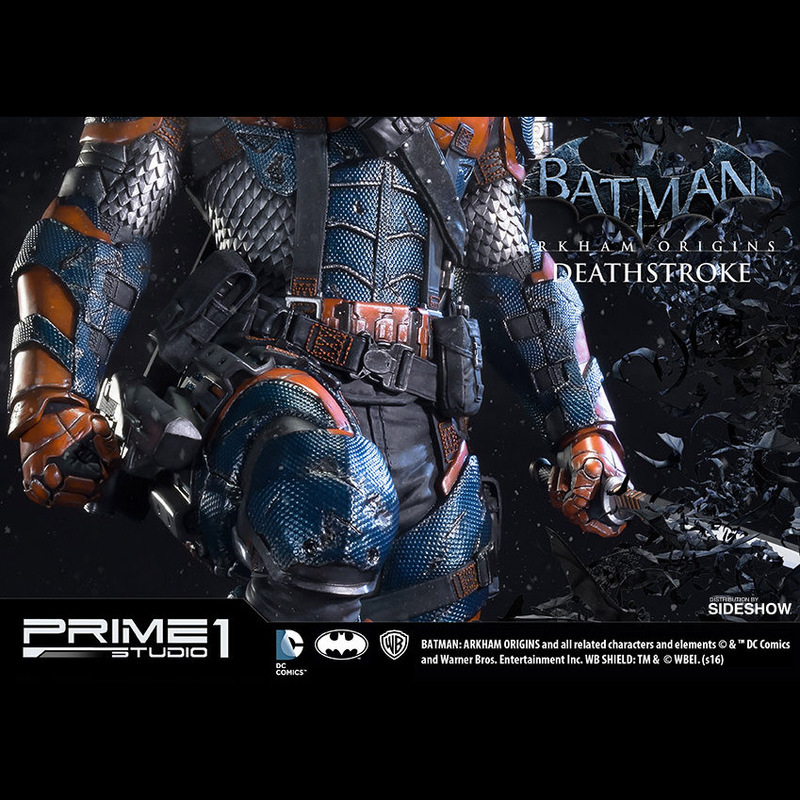 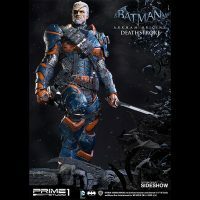 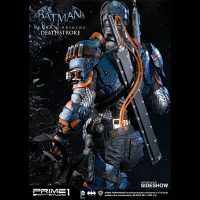 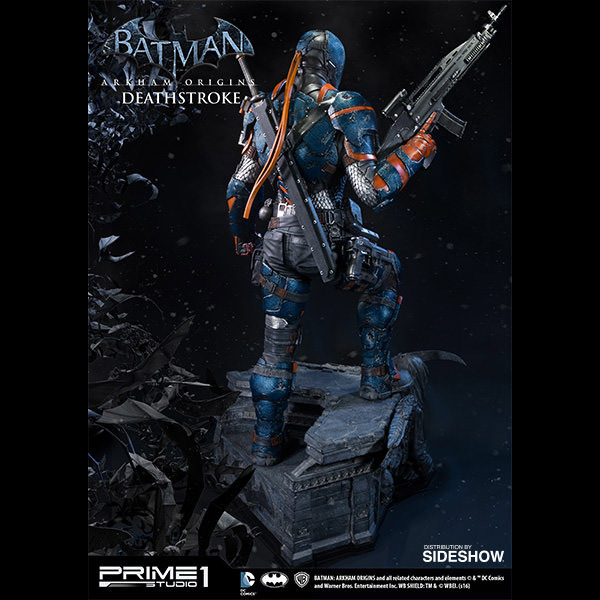 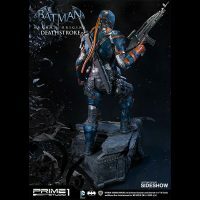 The Batman: Arkham Origins Deathstroke Statue will be available Aug 2016 – Nov 2016 but it can be pre-ordered now for $929.99 at Sideshow Collectibles.